F1 2015 puts you in the heart of the action with a stunning new game engine that recreates the blisteringly fast and highly responsive racing cars of FORMULA ONE™ and features all-new ‘broadcast presentation’ that immerses you in the unique race day atmosphere. 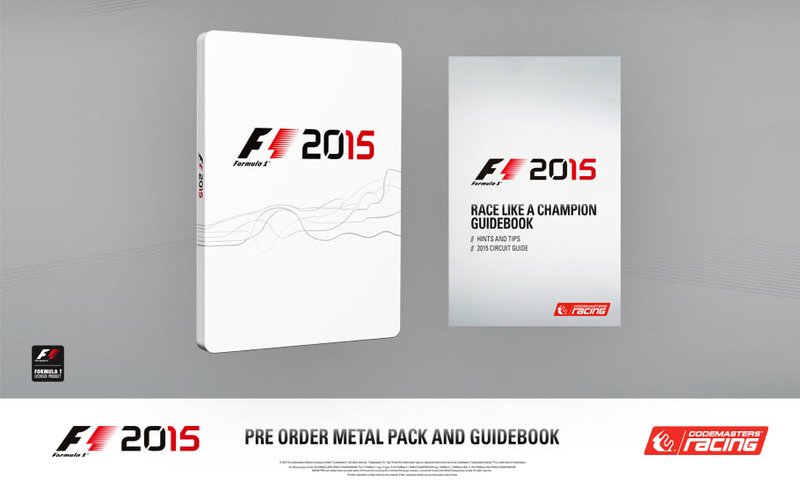 F1 2015 "Race Like a Champion Guidebook. An official product of the FIA FORMULA ONE WORLD CHAMPIONSHIP. The F1 FORMULA 1 logo, F1 logo, F1 FIA FORMULA 1 WORLD CHAMPIONSHIP logo, FORMULA 1, FORMULA ONE, F1, FIA FORMULA ONE WORLD CHAMPIONSHIP, GRAND PRIX and related marks are trade marks of Formula One Licensing BV, a Formula One group company. Licensed by Formula One World Championship Limited. All rights reserved. © Key art driver images 2015, licensed by Formula One World Championship Limited. All rights reserved.